Samsung's Galaxy J series is considered the company's cheaper mid-range lineup, whereas the A series is aimed at customers with slightly bigger budgets. However, it looks like the next Galaxy J series phone will include one feature that the new Galaxy A8/A8+ (2018) smartphones don't have – Android 8.0 Oreo. 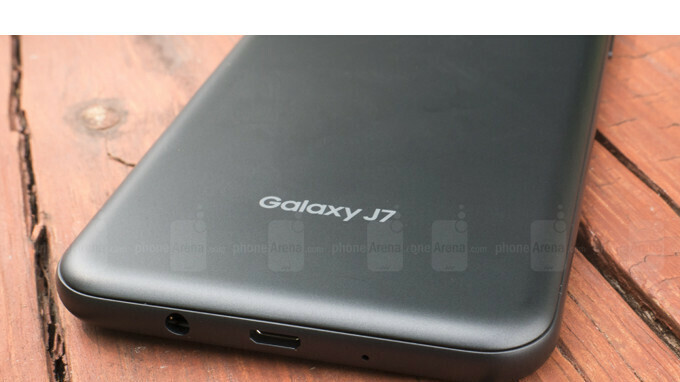 An unannounced smartphone that goes by the model number Samsung SM-J720F has just popped up in benchmark listings, and we believe this device is likely to be named Galaxy J8. The original Galaxy J7 is also known as Samsung SM-710F, while the last year Galaxy J7 has another model number – SM-730F. Basically, the new smartphone's model number is in-between the two Galaxy J series handsets that are already available on the market. 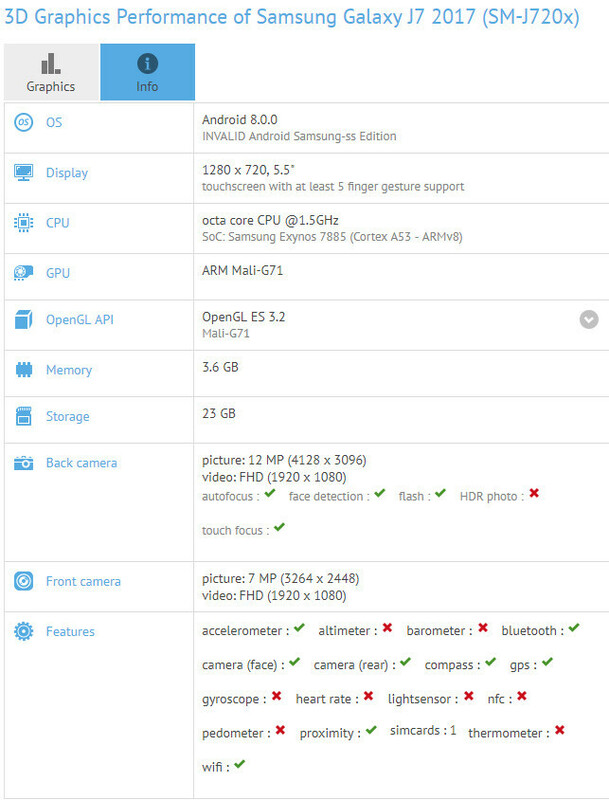 Among the most interesting specs, the alleged Galaxy J8 (2018) is supposed to offer, there's Android 8.0 Oreo and 4GB RAM. Also, the smartphone will be equipped with a 1.6GHz octa-core Exynos 7885 processor and 32GBGB expandable storage. On the back, the upcoming phone is said to pack a 12-megapixel camera, while in the front there should be a secondary 8-megapixel selfie snapper. The 5.5-inch display with HD (720p) resolution could be a mistake since it doesn't come in line with the rest of the phone's specs. Perhaps a full HD (1080p) display would be much more suitable for such a device. It's yet unclear when exactly the new Samsung Galaxy J series smartphone will be unveiled, but in terms of specs, this seems to be very similar to the new Galaxy A8 (2018), so its price might be pretty high for a middle-class phone. With HD 720p display, not so solid specs. Your everyday user is not able to tell the difference. I'm typing this on my J7. AT&T sent me this last month as an apology and for an emergency backup. It's really not that bad. Battery life is stellar, and it's a removable battery.